Collective efforts for dissemination of true message of Islam are imperative and narrative of “Pegham-e-Pakistan” is a timely step to peruse this goal, said H.E. Dr. Shawki Ibrahim Abdel Karim Allam, Grand Mufti of Republic of Egypt, Grand Mufti of Al-Azhar, Egypt. 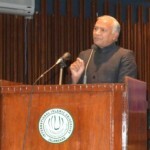 He was addressing during an International Seminar on “Paigham-e-Pakistan” held here at Allama Iqbal Auditorium, Faisal Masjid Campus of International Islamic University Islamabad (IIUI). Seminar was jointly organized by Islamic Research Institute (IRI), Dawah Academy and Iqbal International Institute for Research and Dialogue (IRD), IIUI. Dr. Ibrahim lauded the efforts of Pakistan against extremism and said that the Paigham-e-Pakistan should be spread across the globe to eradicate the extremist mindset. He stressed that modern tools of information for spreading information like social media and social networks should be used to counter the radical mindset. He added that formulation of a national narrative on similar lines is also under the process in Egypt and the document would be signed by mainstream clerics of Egypt. Grand Mufti of Egypt urged Ulema, intellectuals, educationists and civil society to put efforts regarding elimination of brutal concepts of extremism and terrorism. He stressed, that it’s the time to counter the promotion of terrorism and we should disseminate the message of Islam through good behavior and good character. He added that extremism is not the message of Islam, while Islam is the religion of peace and humanity. He hailed Paigham-e-Pakistan initiative and said IIUI was delivering its best to the Muslim societies and this narrative was the visible example. 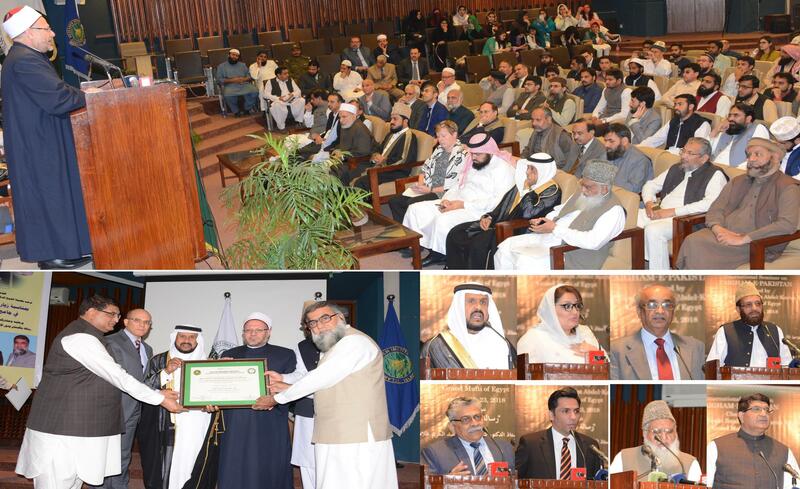 Minister for Religious Affairs and Interfaith Harmony Sardar Muhammad Yousaf said on the occasion that the Pakistan’s National Decree “Paigham-e-Pakistan” has been endorsed by Egypt and Saudi Arabia. “It is the need of time to spread this message of peace among all Muslim countries for ensuring peace in the world, Muslim enemies are trying to damage Islam and such efforts can foil the lethal attempts. He added that Sirat of last Holy Prophet Hazrat Muhammad (PBUH) teaches us the lesson of tolerance, harmony and peaceful coexistence. Prof. Dr. Muhammad Masoom Yasinzai, Rector (IIUI) urged to promote harmony among various sects of Islam and called for implementing national narrative “Paigham-e-Pakistan”. He hoped the narrative would help Muslim countries to build peace across the world. He said that national narrative against terrorism is a continuous process and all institutions will remain helpful and supportive in spreading this message to the entire world. Prof. Dr. Ahmed Yousif Al Draiweesh, President IIUI also spoke on the occasion who said that role of Ulema was imperative in preparation of “Paigham-e-Pakistan” and all Muslim Ummah should endorse the decree for spreading the true image of Islam in the entire globe. The seminar was also attended by Ambassador of Egypt and Yamen, Senator, Ms Romina Aalam, Dr. Arfan Mustafa, Vice Chancellor, Baha ud din Zakariya University, Multan, Prof. Dr. Muhammad Munir, Vice President (A&F), Prof. Dr. Bashir, Vice President (Academics), Prof. Dr. Aqdas Naveed, Vice President (HS&R), Dr. Muhammad Zia-ul-Haq, D.G. 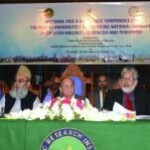 IRI, Dr. Sohail Hassan, D.G. Dawah Academy, Dr. Husn al Amin, E.D. IRD, Deans, and Directors (IIUI). 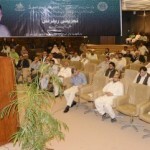 Educationists, scholars from different institutions and members from civil society were also present on the occasion. 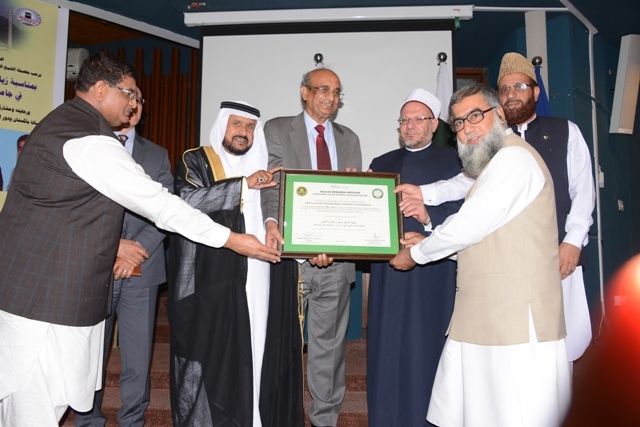 In the end Rector and President, IIUI conferred IRI’s Educational Award to Grand Mufti of Egypt and Dr. Tahir Amin, Vice Chancellor, Bahauddin Zakariya University University, Multan. Grand Mufti of Egypt also visited historic gallery of Islamic Research Institute (IRI), where he inked visitor’s book of IRI by expressing his views and also inaugurated book exhibition at Faisal Masjid Campus.